Valentine's Day is coming. My little girl loves tutus. It's a bit chilly for tutu shorts. Now, she has tutu leggings! To make these leggings a bit more interesting, we used a variety of tulle and tulle like materials in the tiers, as well as two different leg prints. The ready to wear t-shirt was embellished with iron on rhinestones and a tulle heart. 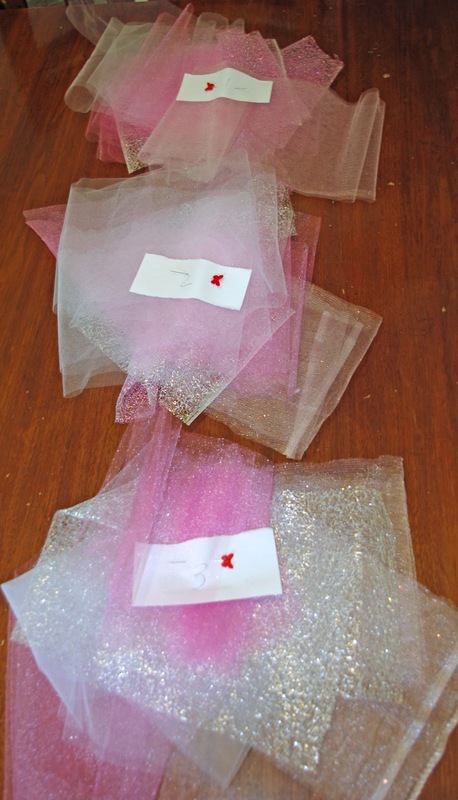 Visit our Tulle t-shirt tutorial for the how to. The only difference in this shirt is the heart design. I cut a heart from paper to gauge size and then traced it onto the shirt with fabric chalk. The hair flower tutorial can be found here. The version with this outfit has two layers of tulle and a jewel hot glued in the center. 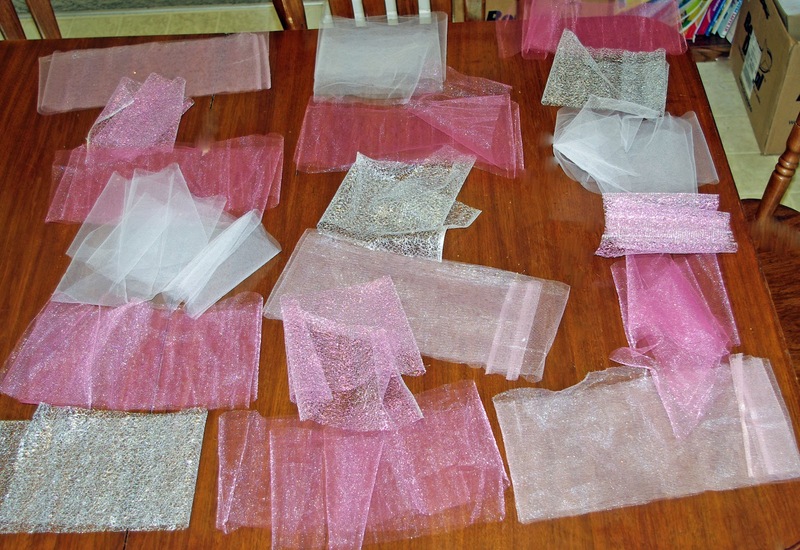 Now for the tutu leggings tutorial. 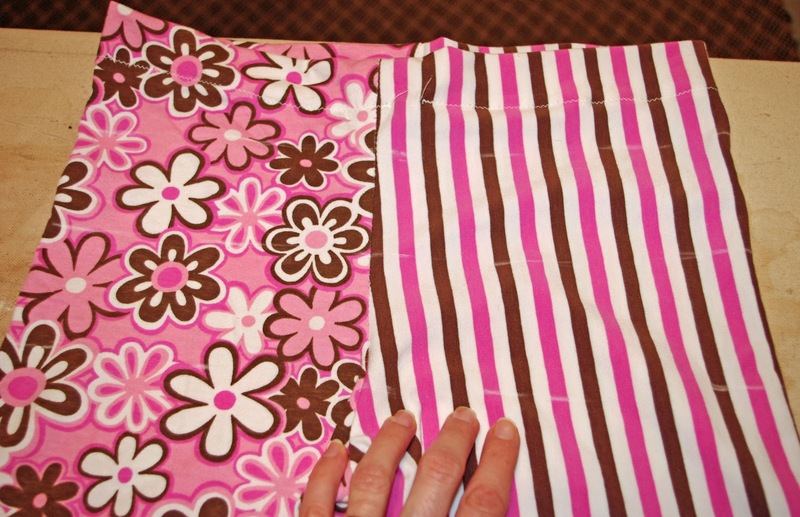 Ready to wear Leggings or a legging pattern and fabric. 1. Cut 4 strips of tulle for each (3) tier. 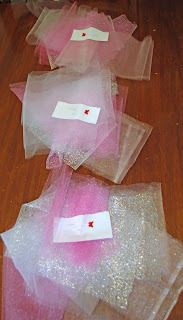 We used more than 4 types of tulle and some were not 54" long, so we have more than 4 strips. The strips need to equal the length of 112" or more. 2. Organize the strips to get the look you want for each tier. 3. Stack the strips in order and label for each tier. Otherwise they can get mixed up and the look you want may not come out just right. 4. 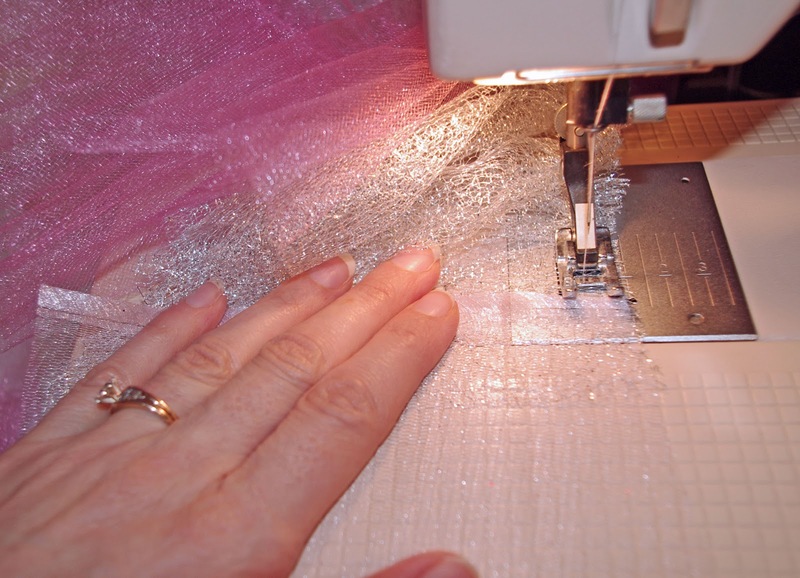 Create leggings, without elastic in the casing. If you are using ready to wear leggings, skip this step, and don't worry about the elastic in the ready to wear pair. It won't cause much of a problem. 5. Beginning with the bottom tier, mark a line 1" above the start of the crotch curve, front and back. Next mark the top tier 2" below the waist line elastic, front and back. Lastly, divide the space between the top and bottom tier in half and mark the middle tier, front and back. 6. Gather the tulle tiers along the top raw edge. Follow the link to our fast and easy gathering tutorial..no pulling threads! As you come about 2" from the end of a strip, layer on the next strip, and continue to gather until all of the strips for the tier are together and gathered. Gather the next tier in the same manner until all three tiers are together and gathered. 7. Measure the circumference of your leggings. Adjust each tier to that measurement, plus 3". 8. 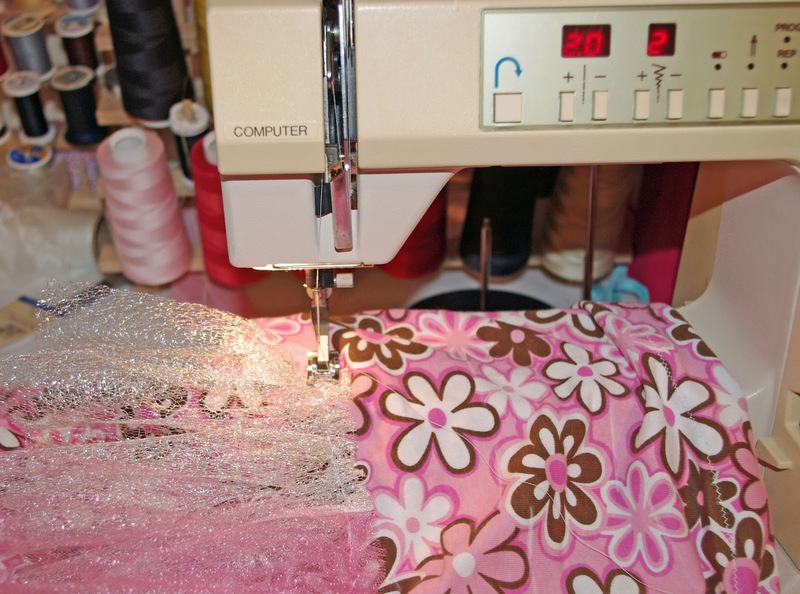 Using a 2 wide by 2 long zigzag stitch, sew the bottom tier onto the leggings. Sew on top of the markings you made earlier. 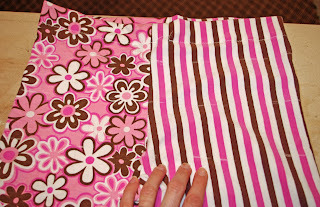 Overlap the end about 2". 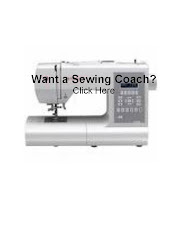 Sew the middle tier on the same way. Finish with the top tier. For those who created leggings, put the elastic in the casing and finish. I hope your special girl loves her frilly pants as much as Curly does!